What were RCDs up to in March? Riverside-Corona RCD trained volunteers to give garden tours and help teach about sustainable native habitats, urban areas, and/or agriculture at the Land Use Learning Center. Riverside-Corona RCD hosted an event where skilled handlers trained dogs on rattlesnake avoidance skills. The event was at the Land Use Learning Center on Saturday, March 9. 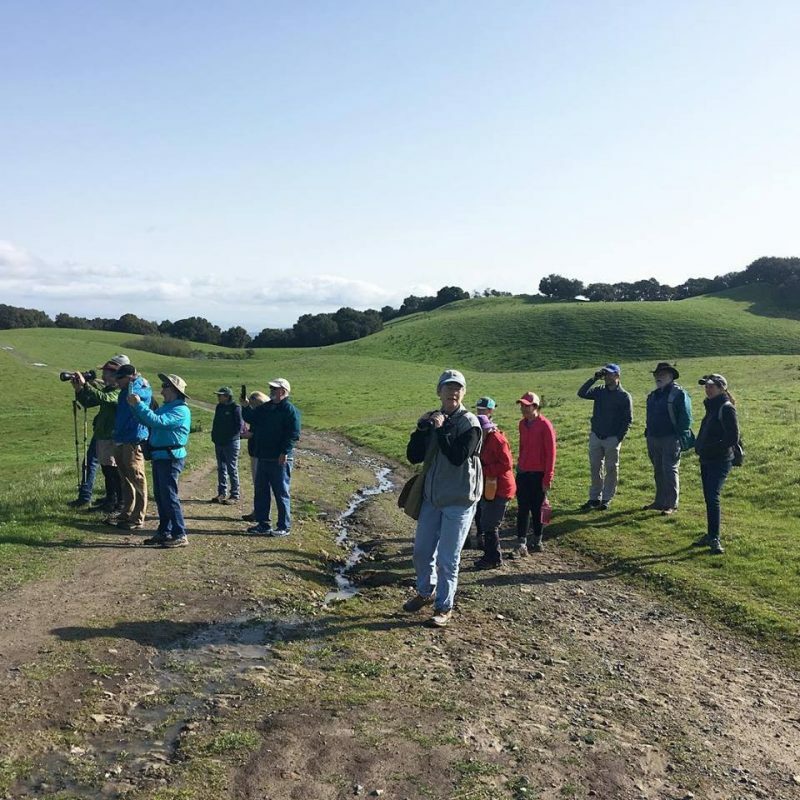 At the Spring Wildflower Walk on March 23, Contra Costa RCD led hikers along Old Briones Road Trail examining the road cut for wildflowers and searching for birds in the surrounding oak woodlands. They made their way to the grazed grasslands, and explored low-lying forbs and the numerous lagoons to look for for amphibians and songbirds. RCD of Santa Cruz County’s free workshop and tour helped attendees understand how to protect their home, property, family and animals in the event of a fire in the Santa Cruz Mountains. Topics presented by Cal Fire and the Santa Cruz County Equine Evacuation Unit included defensible space, private and rural road readiness, creating fuel breaks, and evacuating livestock and pets. The workshop was on March 10 and included a tour of fuel break work along Graham Hill Road and information on adopting these practices. Nutrient Logic for Soil Health with Steve Trotter was a free brown bag seminar hosted by Coastal San Luis RCD at UCCE Auditorium on Tuesday, March 12 about managing nutritional programs in declining soil and water conditions. On March 6, the Nevada County RCD and Nevada County Office of Emergency Services partnerined for a free public screening of Fire and Forest Health: Your Tahoe National Forest alongside the timely Wilder than Wild: Fire, Forest and the Future at the Nevada Theatre. Panelists represented a diverse cross-section of the wildfire prevention community including: CAL FIRE, Fire Safe Council of Nevada County, Nevada County Office of Emergency Services, Nevada County RCD, Pacific Gas and Electric Company, Tahoe National Forest and UCCE. The RCD of Santa Monica Mountains enlisted volunteers to help care for oaks planted at Rodeo Grounds on Saturday March 9. On Tuesday, March 12 East Stanislaus RCD and partners hosted a cover crop workshop at Modesto Junior College. The event included an introduction to cover crops, overview of varieties, soil health, and managing cover crops. East Stanislaus RCD and Mojave Desert RCD hosted a cover crop workshop on Monday, March 25 in Lucerne Valley in San Bernardino County. The workshop went over the basics of cover cropping and tour two sites. Korean translation was provided.